Having a big income is always a plus! But maintaining a positive cash flow on a regular basis may be tough for some due to spending habits. Why do we need to have a positive cash flow and work to increase it? Because the excess cash can be saved or invested for our future. We live in a culture of consumerism where we’re obsessed with buying material things - the latest gadgets, fashion and accessories. Such money habits can easily derail you in achieving your financial goals. Enjoying life now at the expense of future aspirations is something to think twice about. Work on creating and maintaining a healthy budget. And remember, that every dollar saved is a dollar earned. Every dollar invested is a dollar multiplied. Do you have student loans? Credit card debts? What’s the “fastest” way to get out of debt? Try this strategy called the Debt Snowball. Start by listing all your debts (not including your mortgage on the house) in the order from the smallest to the biggest. Make the smallest debt your first priority. Why? Because it’s the easiest one to eliminate. And once you’ve done it, you’ll feel that positive flow of energy and optimism as you build momentum to slowly tackle the rest. 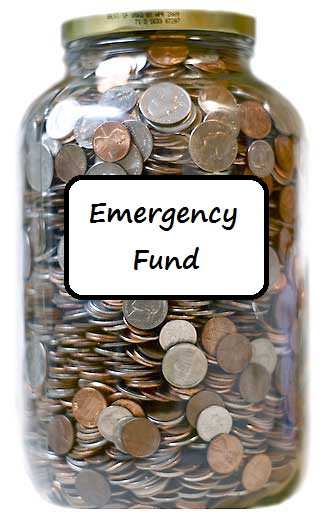 Set aside at least eight (8)* months of living expenses as emergency cash. Why eight months? So that if in case there is a layoff, illness or injury from accidents, you can somehow stretch that money out to a year (by living more frugally) to buy you time as you recover or find a new job. Unexpected events do happen. Having the funds to pay these bills will help keep you out of debt and avoid disrupting your investment plans. *The typical recommendation is 3-6 months of expenses but I personally like 8 months for the reasons above. This is just a general guide and some people may need more depending on circumstances (unstable job, medical history, etc.). Sometimes the emergency funds grow to become sizeable idle monies so we will discuss on how to make this more practical and efficient in future articles. Many of us have loved ones we provide for. You’ve bought a nice home for your family or parents, you send your children to piano classes, you bring your family on vacation. Would you want them to continue enjoying these things even when you are not around to provide for them? If the answer is yes, then choosing the right type of insurance and calculating an adequate amount of coverage needed is a certain way of continuing to provide for your loved ones. If you’ve been saving your hard-earned money in the bank, I hate to break it to you but that’s not investing - because that money is likely to be eaten up by inflation (i.e. a general increase in prices for goods and services, and fall in purchasing value of money) over the long run. Diversification - You’ve heard this one before: Don’t put all your eggs in one basket. Having proper asset allocation is a major factor on the risks and returns in a portfolio. Time - It’s difficult to time the market (timing). However if you invest for a longer length of time, the probability of having positive returns is definitely higher. Risk vs Reward - The higher the risk, the greater the potential returns. By "not taking risks" (such as using a bank deposit), the risk of inflation may be slowly eroding the value of your money. Expect Volatility - Markets may drop by say 30% to 60% due to a financial crisis. There’s no reason to panic because history shows us that markets will recover in due time. In fact, a good time to buy is actually during or after a crisis. Did you know that the Estate Tax in the Philippines can go up to 20% of an individual's estate? Some countries such as the UK are even higher at 40%. For someone who has accumulated a sizeable amount during his lifetime, this tax will drastically dwindle his estate overnight. Many strategies can be used to reduce this liability - with proper planning, more of your estate can be preserved. This will ensure that the resources you’ve accumulated in life will continue to leave an impact on the people you love and the causes you support. Now that we’ve covered all the six steps to financial peace, my hope is that you will start assembling the edge pieces of the puzzle by creating a simple financial plan based on what was discussed. I look forward to meeting with some of you whether individually or in small groups, to discuss how to personalise your financial roadmap and investment plans to meet your life goals and dreams.